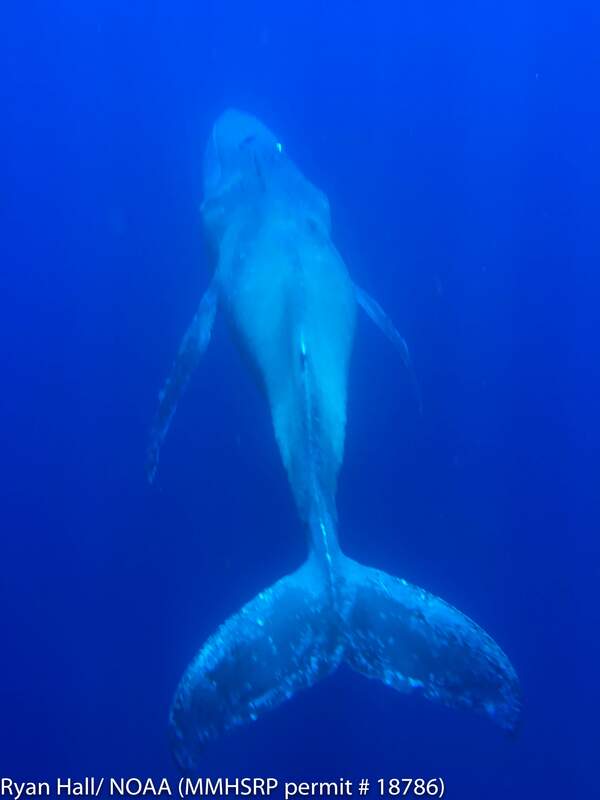 Hawaiian Islands Humpback Whale National Marine Sanctuary Superintendent Malia Chow says this humpback whale is emaciated and covered in whale lice, and at least four sharks were following it. She says these are all indicators of a whale in distress. PORTLAND, Maine – The ability of an endangered whale species to recover is jeopardized by increasing rates of entanglement in fishing gear and a resultant drop in birth rates, according to scientists who study the animal. The population of North Atlantic right whales has slowly crept up from about 300 in 1992 to about 500 in 2010. But a study that appeared this month in the journal Frontiers in Marine Science said the number of baby right whales born every year has declined by nearly 40 percent since 2010. Study author Scott Kraus, a scientist with the New England Aquarium in Boston who worked on the study, said the whales’ population suffers even when they survive entanglements in fishing gear. He said data suggest those entanglements have long-term negative physical and reproductive effects on them. There is reason to believe the entanglements could harm conservation efforts despite recent positive signs on the whales’ recovery, Kraus said. Researchers said earlier this year that they were beginning to see more of the whales in Cape Cod Bay, and that was a good sign. Stormy Mayo, a senior scientist at the Center for Coastal Studies in Provincetown, said the drive to make fishing gear safer for the whales could be key to saving them. “There’s a great deal of work being done to try to change the configurations of various kinds of fishing gear or the methods of fishing to reduce entanglement,” he told the AP. North Atlantic right whales are among the most endangered species of whales in the world. They spend the warm months feeding in areas off the Northeastern states and Canada and spend the winter off Southern states, where they give birth. They are called right whales because they were hunted relentless during the whaling era, when they were considered the “right” whale to hunt because they were slow and floated when killed.